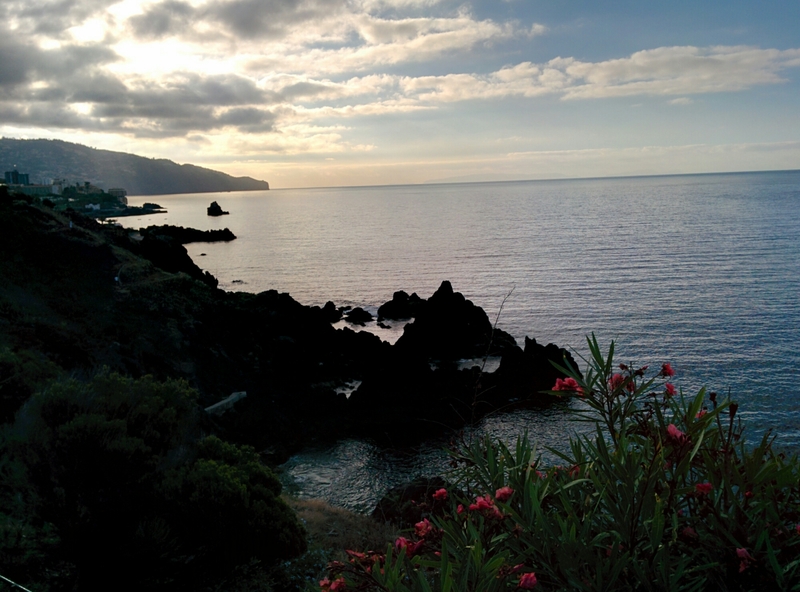 Following my recent groin strain – stop sniggering at the back – that’s me back running again. Slow and steady – but I never did run any other way ! 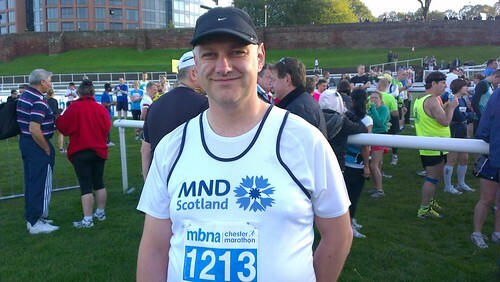 So – back to Strathclyde parkrun this Saturday and more importantly – the MND Scotland fun run also in Strathclyde park on Saturday 16th May. It’s a cause close to my heart and I will be fundraising for MND Scotland in memory of my brother Derek and my daughter Emma. Just like the true athlete that I am what else would I do the day before the loch ness marathon but run another parkrun? The walk to the event gave me a good opportunity to walk the last mile of the marathon, I doubt it will be that quiet tomorrow! Here’s to a nice gentle run today, ticking off another Scottish parkrun. 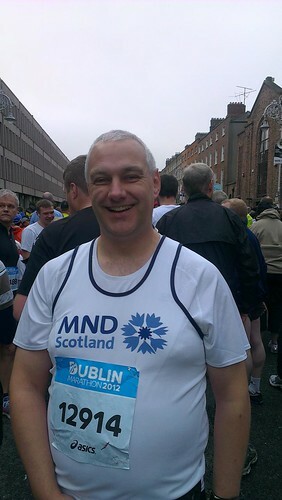 Remember – you can show your appreciation here : http://www.JustGiving.com/MNDScotland or by texting ross70 £10 to 70070. 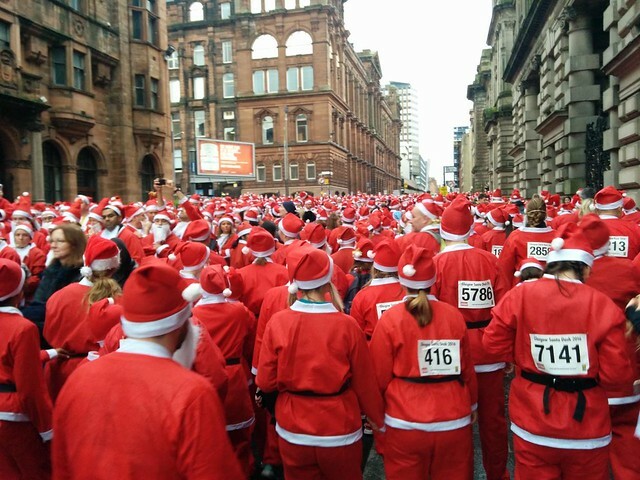 But I quickly realised why the local runners all stick to the main roads. My slowest 5k in a long time. Mind you, according to my Fitbit I climbed the equivalent of 34 floors yesterday! AND I ENJOYED IT ! Wondering why I couldn’t download my run from my watch. It was not plugged in! Well – that’s my final marathon of the year done and what a way to end it. Fantastic location, fantastic people/support, fantastic weather (cold and dry) and a personal best by over 14 minutes! You can review my marathon stats here. The stats make interesting reading (if your into stats or are a runner). It shows how my pace per mile has changed since my first marathon and also how Chester compared with Dublin (4 weeks apart). It also finally drummed it into me that starting slow DOES enable you to hold a more consistent pace for longer. As you should know by know my plan for the year was to run four marathons, one in each of Wales, Scotland, England and Ireland for MND Scotland. The start of October saw the English leg with the Chester marathon. Prior to the 2012 Edinburgh Marathon I have only ever not finished one race before – a Strathclyde parkrun when I pulled my hamstring. Bearing in mind I did the Great Welsh Marathon last month – I was just doing some “easy” runs as I “know” I can “do” a marathon so I was just treating this period as an extended taper/recovery period. On Sunday the day was very sunny and hot. I had multiple applications of factor 50 sunscreen – been upping my hydration in the days before, the only thing I did differently was grabbing a tuna sandwich rather than my usual porridge. My plan was to run 12:00 miles in the hope of beating my PB of 05:42. I knew I’d have to revert to a run walk strategy from about mile 19ish but I should have enough in the tank for about a 05:30 finish. I knew I would start way faster than my planned pace so for the first three miles it was a case of forcing myself to slow from 10:00 to 11:00 until I settled at a comfortable 11:30 pace. I started feeling a bit “wobbly” at about 9 1/2 miles so I had a walking break, a gel and some water. This was fine until mile 10 when I “lost” my breakfast – not exactly lost – I knew EXACTLY where it was ! More water and gel and I soldiered on with a walk/jog until mile 12 (15:00+ mins per mile) when I knew if at this point I was having to play mental games to force a jog – there was no way I could continue. After 20 minutes sitting by the roadside – thanks to everyone who took the time to check I was OK – I started the long slow walk back to the start. I have two more marathons in the plan – Chester 7th October and Dublin 29th October so hopefully the heat will not be as big a debilitating factor. I still “owe” a Scottish marathon from my 4 marathon plan – I have an inkling as to how to address this – stay tuned for more info!